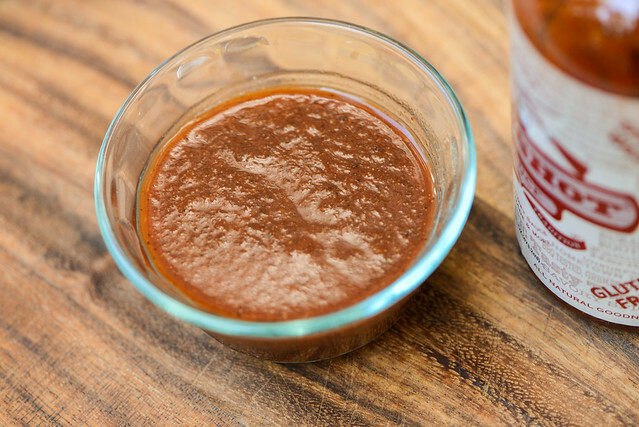 Going in heavy on the acids, this sauce has a pucker inducing tartness that comes along with a barrage of spices that give it a spicy, earthy kick. Usually it's the aroma of wafting smoke that lets neighbors know there's going to be barbecue in their future, but for those around Will and Arlene McCarthy's Grandpa Wilford, it was the sound of a shotgun that rang that bell. As the story goes, Grandpa Wilford had an unusual way of injecting his meats—load up shotgun shell with spices and sauce and fire it into whatever he was about to cook. 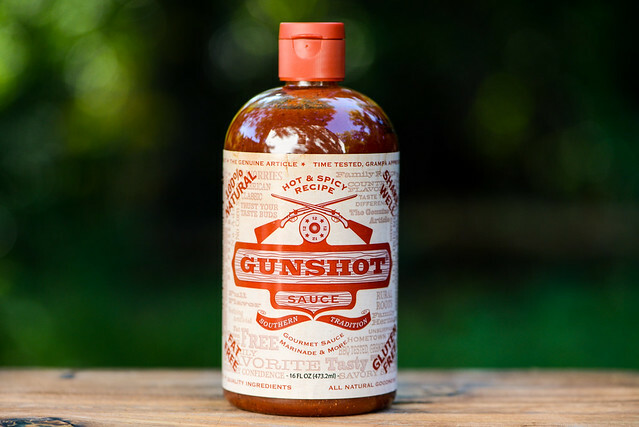 While Will and Arlene, the producers of Gunshot Sauce, don't recommend you try this method at home, they are hoping you'll pick up on of the two varieties of sauce that are decedents of their Grandpa's own recipes. 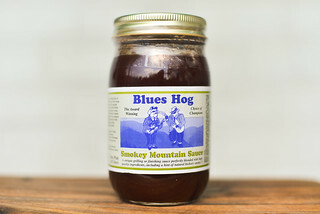 A wallop of spices and vinegar singe the nose as you take in a whiff of this sauce. There's a strong horseradish component that gives the sauce its unique aroma. There's a also a non-sweet tomato base that's more acidic than fruity along with fairly prominent celery smell. The spices meld together, making them hard to pinpoint, but give the sauce an overall earthy tilt with a fair amount of heat behind it. A heavy amount of spices that come in all different colors and shapes give the sauce a textured appearance. It has a rusty red hue, is opaque, and its thickness sits between medium and thin that's reminiscent of very thinned out tomato paste. From a suspended spoon, the sauce has a quick and chunky pour. It doesn't take long for almost all of the sauce to release from the silverware, but the few final drips do come off slowly, and then a thin, patchy layer of sauce is left clinging. With an incredibly sour character from the outset to end, this Hot & Spicy Recipe has a flavor profile almost identical to the Original. It starts with a heavy dose of vinegar that mixes with an entirely unsweetened and acidic tomato. As the sauce settles on the tongue, the acids build in power and complexity with the addition of lime and lemon juice and increased presence of vinegar. Right before the height of the sourness, the spices come out all at the same time, giving the sauce an earthiness with a fair amount of heat that includes the sharpness of horseradish. Right before the sauce leaves the tongue, the tartness gains in intensity once more, leaving an super tangy and spicy aftertaste. After coating the chicken in a thin, even layer, the sauce baked away over indirect heat, but left a layer of dry spices on the leg. This coating of spice then picked up a little caramelization over direct heat, adding a touch more color to the otherwise now earthy-red piece of chicken. Just like out of the jar, this sauce pretty much matched the original recipe, except with slightly more emphasis on the chilis. This left the leg with an acidic tomato flavor backed up by earthy and hot spices with no sweetness to speak of. Because it was so heavy on the vinegar and spices, the Original Recipe for Gunshot Sauce was already plenty spicy. This left me expecting the Hot and Spicy Recipe to really amp up the heat a lot to distinguish itself, but it failed to do that. 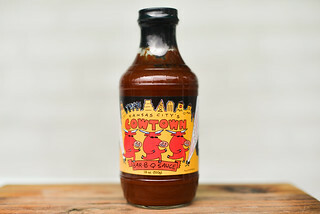 Side-by-side, this pucker inducing sauce was only mildly hotter than the original, making it leave a somewhat diminished impression on me overall. 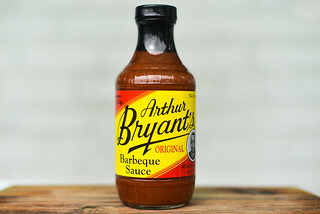 Still, if it's just about the same sauce, it's worthy of the same score and relegated to the same uses—for people who love their vinegar and spice, but not sugar, which tends to pair best as a finishing sauce for smoked pork, although its strong enough to go against heartier flavored items like brisket and steaks. Why not start your New Year off with something we all love—free sauce! 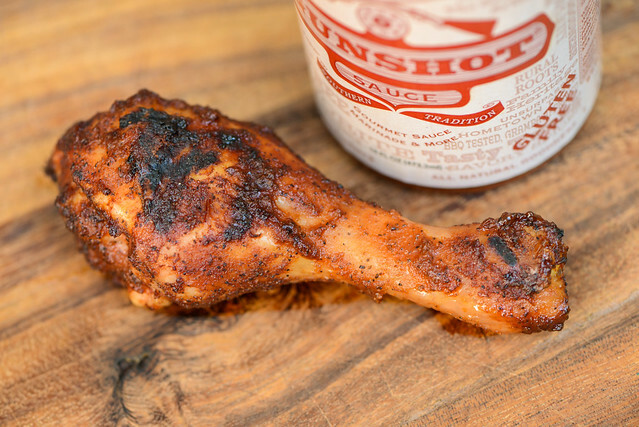 I have a bottle of Gunshot Sauce: Hot & Spicy Recipe to giveaway to you Meatwavers, and to enter to win it all you have to do is comment on this post with what new thing you're going to grill or smoke in 2016. Deadline for entries is 11:59pm on Tuesday Jan 5 2016. Read the official rules for more details. One entry only per individual. Good luck! I'd like the experiment with pork more, I'm afraid to cook it. I usually overcook it, this year I'm going to find that sweet spot. I am going to try grilling and smoking lamb for the first time in 2016. Will be searching The Meatwave for some beautiful lamb sausage recipes! We are fairly typical, so we will grill burgers and brats primarily, with ribs and smoked sausages throw in frequently. If it walks, flies, or swims, I'm going to grill it or smoke it this year. @Char, get yourself a digital thermometer to take some of the guess work out of overcooking. Once you cook to the appropriate temp, you'll never cook without a temp probe again. This contest is now over. Congrats to Steph on winning the sauce!